August 31/Gold surges $8.35 once options expiry ceases with silver up 7 cents. In the access market gold rises another $8.00 to $1322.50 and silver rises another 9 cents to $17.60/Another potentially catastrophic hurricane heading towards the Caribbean and the Southern Eastern USA coast. “As I expected, the criminal bankers tried their best to keep gold and silver from rising so as to pocket underwritten options. However they did not succeed in lowering the price of gold to $1300.00 and $17.25 silver where the bulk of options were underwritten. London based gold/silver options have an expiry tomorrow morning at around 10 -11 am. After that we should see our precious metals rise.” I guess I was right on that one!! I did not expect a 2 billion dollar notional comex flash crash coming in the early hours of the evening last night. However I was happy that the gold and silver rebounded beautifully. I am comforted that the bankers could not cash any of the underwritten options which expired at 10 am this morning. Tomorrow is the dreaded non farm payrolls. This report is fabricated to the highest degree. However if the report is bad even with the fake numbers, gold/silver will be off to the races. In ounces, the OI is still represented by just UNDER 1 BILLION oz i.e. 0.891 BILLION TO BE EXACT or 127% of annual global silver production (ex Russia & ex China). In gold, the open interest FELL BY A CONSIDERABLE 3083 CONTRACTS WITH THE FALL in price of gold ($5.00 LOSS YESTERDAY). The new OI for the gold complex rests at 534,892. AS IN SILVER, THE GEOPOLITICAL LANDSCAPE WITH TRUMP THREATENING TO CLOSE GOVERNMENT IF HE DID NOT GET HIS WALL , THE DOVISH SPEECHES BY BOTH DRAGHI AND YELLEN ON FRIDAY AT JACKSON HOLE, THE HOUSTON FLOODING & NORTH KOREA FIRING MORE MISSILES CAUSED A HUGE NUMBER OF NEWBIE SPECS TO AGAIN ENTER THE GOLD ARENA WITH THE COMMERCIALS SUPPLYING THE NECESSARY PAPER LIKE DRUNKEN SAILORS. ONCE 1300 DOLLAR GOLD WAS PIERCED, MORE NEWBIE LONGS CAME EMBOLDENED CONTINUING THEIR QUEST OF TAKING ON THE BANKERS WHO RECIPROCATED IN KIND WITH SHORT PAPER. SINCE TODAY IS OPTIONS EXPIRY DAY, ONE COULD HAVE BET THE FARM THAT THE BANKERS WOULD ATTACK. THEY PRESSED DURING YESTERDAY’S ACCESS MARKET AND THEN BANG, EARLY LAST NIGHT, ANOTHER FLASH CRASH WITH 2 BILLION DOLLARS IN NOTIONAL PAPER GOLD SENT GOLD CRASHING DOWN TO $1296. HOWEVER OUR ANCIENT METAL OF KINGS RECOVERED SLOWLY BUT SURELY THROUGHOUT THE NIGHT AND THEN BLASTED FIRMLY INTO THE POSITIVE ONCE OPTIONS EXPIRY CEASED. Result: A SMALL SIZED LOSS IN OI WITH THE BIGGER FALL IN PRICE IN GOLD COUPLED WITH A RAID ON WEDNESDAY AND A BIGGER FLASH CRASH LAST NIGHT. we had: 40 notice(s) filed upon for 40,00 oz of gold. IN THE LAST 34 TRADING DAYS: GLD SHEDS 20.54 TONNES YET GOLD IS HIGHER BY $84.60 . 1. Today, we had the open interest in silver FELL BY A LARGE 4480 contracts from 188,145 DOWN TO 178,343 (AND now A LITTLE FURTHER FROM THE NEW COMEX RECORD SET ON FRIDAY/APRIL 21/2017 AT 234,787) WITH YESTERDAY’S 1 CENT LOSS IN TRADING. SILVER RESPONDED TO 1) THE GEOPOLITICAL CLIMATE WHEREBY TRUMP THREATENED TO SHUT DOWN GOVERNMENT UNLESS HE GOT HIS WALL , 2) THE TWO DOVISH SPEECHES BY YELLEN 3) NORTH KOREA FIRING MORE MISSILES,4) THE HOUSTON FLOODING AND 5 THE PIERCING OF THE HUGE RESISTANCE LEVEL OF $17.25 WHICH NOW BECOMES THE NEW SUPPORT LEVEL. WE NO DOUBT HAD IN EXCESS OF 4,000 LONG SEPT. SILVER PLAYERS TENDERING THEIR LONGS FOR SEPT. EFP’S (BUT THAT OBLIGATION STILL RESTS WITH THE BANKERS BUT ON A DIFFERENT EXCHANGE LONDON). NEWBIE LONGS ENTERED THE ARENA WHEN THEY SAW ANOTHER FAILED RAID ATTEMPT. HOWEVER THE GAIN IN NEWBIE LONGS WAS FAR LESS THAN THOSE PAPER PLAYERS EXITING FOR EFP’S. THE BANKERS ORCHESTRATED A FLASH CRASH ON BOTH GOLD AND SILVER LAST NIGHT IN A VAIN ATTEMPT TO CAUSE UNDERWRITTEN OPTIONS CONTRACTS TO EXPIRE WORTHLESS. THE BANKERS HAD NO CHOICE BUT TO COVER SOME OF THEIR SHORTS AS THEY ARE STILL LOATHE TO SUPPLY ANY ADDITIONAL PAPER. THE FLASH CRASH RAID FAILED AS BOTH METALS SKYROCKETED TO THE POSITIVE LEVEL NEGATING THE BANKERS FROM PROFITING FROM THEIR UNDERWRITTEN OPTIONS.. RESULT: A MUCH LOWER OI AT THE COMEX, BUT A CORRESPONDING TRANSFER TO EFP’S IN LONDON WITH MUCH SHORT COVERING FROM THE BANKERS. We knew this would happen. The Euro boys have been quite happy these past few years living with a very low Euro. Now that Europe has picked up in growth and corporate profits, the ECB sends out a trial balloon that they are not happy with the new high in value of the Euro. Draghi states that he is in no rush to taper his QE purchases of bonds. This causes the Euro to tumble and the German Bunds rose in price (lower in yield.) However inflation is running much higher than expected. i) Gasoline price surge this morning after the major pipeline conduit for gas from the Gulf to the East Coast has been shut down due to the Hurricane. i)Right after Draghi floated a trial balloon suggesting he wants a lower Euro, Mnuchin was interviewed and he stated that he states that a lower dollar is preferable for trade. Down goes the dollar..
ii)Real personal spending shows a less than expected .3% month over month gain (.4%month over month expected) Incomes saw a modest .4% month over month gain. iv)It sure looks like Donald intentionally snubbed Gary Cohn the future Fed chairman? vii)The uSA releases 500,000 barrels from its Strategic Reserve after news that the USA’s largest refinery may be shut down for two weeks. The problem is the gasoline distribution not the lack of oil. How will this help? The total gold comex open interest FELL BY A GOOD SIZED 3,983 CONTRACTS DOWN to an OI level of 534,892 WITH THE FAIR SIZED LOSS IN THE PRICE OF GOLD ($5.00 LOSS IN YESTERDAY’S trading). This time the bankers did supply the necessary gold short paper when newbie longs took on our criminal bankers realizing that the geopolitical climate in the states was getting to their liking as Trump threatened to close government unless he got his wall plus the two dovish speeches by Yellen and Draghi at Jackson Hole, THE FLOODING OF HOUSTON , and the firing of those North Korean missiles.With today being options expiry you could have bet the farm that the bankers would try and lower the price of both gold and silver to cause underwritten options to expire worthless. They pressed yesterday afternoon in the access market and then bang, in the evening a criminal flash crash which is intended to injure long players. That brought gold down below $1296.00. However this time, newbie longs entered on the lower price willing to take on the crooks. Gold ( and silver) reversed hugely and won big today. Result: a GOOD SIZED open interest decrease with an good sized fall in the price of gold with GOLD’S HOLDING OF ITS 1300 SUPPORT LEVEL. GOLD RESERVES HUGELY FROM THE MASSIVE FLASH CRASH EARLY LAST NIGHT. The August contract month is now off the board. The new non active September contract month saw it’s OI LOSE 159 contracts DOWN to 867. The next active contract month is Oct and here we saw a LOSS of 4,825 contracts DOWN to 45,451. The very big active December contract month saw it’s OI gain 1623 contracts up to 421,666. And now for the wild silver comex results. Total silver OI FELL BY 4880 CONTRACTS FROM 188,145 DOWN TO 178,343 WITH YESTERDAY’S 1 CENT LOSS IN PRICE. SILVER RESPONDED TO THE GEOPOLITICAL CLIMATE WITH TRUMP THREATENING TO SHUT DOWN GOVERNMENT UNLESS HE GETS HIS WALL, THE TWO DOVISH SPEECHES BY YELLEN AND DRAGHI AT JACKSON HOLE, THE FLOODING OF HOUSTON AND THE FIRING OF THOSE NORTH KOREAN MISSILES. WE LOST IN EXCESS OF 4400+ CONTRACTS AS THESE PAPER PLAYERS TENDERED THEIR SEPT. LONGS FOR SEPT. EFP’S (BUT THAT OBLIGATION STILL RESTS WITH THE BANKERS BUT ON A DIFFERENT EXCHANGE LONDON). HOWEVER ONCE THE HUGE RESISTANCE LEVEL OF $17.25 HELD, NEWBIE LONGS BECAME EMBOLDENED TO TAKE ON THE BANKERS. SOME OLD SPECS EXITED WITH PROFITS FROM A HIGHER PRICE EARLY YESTERDAY. THE BANKERS PRESSED GOLD AND SILVER YESTERDAY AFTERNOON AND THEN BANG, LAST NIGHT, THEY ORCHESTRATED ANOTHER FLASH CRASH SO AS TO CAUSE UNDERWRITTEN OPTION CONTRACTS TO EXPIRE WORTHLESS. THEY FAILED AGAIN AS SILVER RETURNED TO A HUGE GAIN ON THE DAY ONCE OPTIONS EXPIRY CEASED. RESULT: A GOOD SIZED DECREASE IN OI AT THE COMEX WITH A ONE CENT LOSS IN PRICE. WE HAD A GOOD SIZED TRANSFER OF LONGS FOR ANOTHER PHYSICAL DELIVERY PRODUCT, EFP’S ,WHEREBY THEY RECEIVE A FINANCIAL REWARD PLUS A DELIVERABLE PRODUCT IN LONDON. The next active contract month is September (and the last active month until December) saw it’s OI fall by 10,022 contacts down to 4103. The next non active contract month for silver after September is October and here the OI GAINED 17 contacts UP TO 890. After October, the big active contract month is December and here the OI GAINED by 5,079 contracts UP to 156,730 contracts. Today, 0 notice(s) were issued from JPMorgan dealer account and 0 notices were issued from their client or customer account. The total of all issuance by all participants equates to 40 contract(s) of which 0 notices were stopped (received) by j.P. Morgan dealer and 0 notice(s) was (were) stopped/ Received) by j.P.Morgan customer account. To calculate the initial total number of gold ounces standing for the SEPTEMBER. contract month, we take the total number of notices filed so far for the month (40) x 100 oz or 4000 oz, to which we add the difference between the open interest for the front month of SEPT. (867 contracts) minus the number of notices served upon today (40) x 100 oz per contract equals 86,700 oz, the number of ounces standing in this active month of SEPT.
Over a year ago the comex had 303 tonnes of total gold. Today the total inventory rests at 270.40 tonnes for a loss of 33 tonnes over that period. Since August 8/2016 we have lost 84 tonnes leaving the comex. However I am including kilobar transactions and they are very suspect at best. The total number of notices filed today for the SEPTEMBER. contract month is represented by 2105 contract(s) for 10,905,000 oz. To calculate the number of silver ounces that will stand for delivery in SEPTEMBER., we take the total number of notices filed for the month so far at 2105 x 5,000 oz = 10,905,000 oz to which we add the difference between the open interest for the front month of SEPT (4103) and the number of notices served upon today (2105) x 5000 oz equals the number of ounces standing. Thus the INITIAL standings for silver for the SEPTEMBER contract month: 2105 (notices served so far)x 5000 oz + OI for front month of SEPTEMBER(4103 ) -number of notices served upon today (2105)x 5000 oz equals 20,515,000 oz of silver standing for the SEPTEMBER contract month. This is excellent for this active delivery month. Silver is being constantly demanded at the silver comex and we witness again the amount of silver demanded daily increase right from the get go. FRIDAY’S CONFIRMED VOLUME OF 111,942 CONTRACTS WHICH EQUATES TO 559 MILLION OZ OF SILVER OR 80% OF ANNUAL GLOBAL PRODUCTION OF SILVER EX CHINA EX RUSSIA). IN OUR HEARINGS THE COMMISSIONERS STRESSED THAT THE OPEN INTEREST SHOULD BE AROUND 3% OF THE MARKET. Note: Sprott silver trust back into NEGATIVE territory at -0.21%/Sprott physical gold trust is back into NEGATIVE/ territory at -0.35%/Central fund of Canada’s is still in jail but being rescued by Sprott. *LAST 161 TRADING DAYS: A NET 23.98 TONNES HAVE NOW BEEN ADDED INTO GLD INVENTORY. AUGUST 31/STRANGE!! a huge withdrawal of 2.019 million oz with silver up today. This week gold broke through the key resistance of $1,300. For some time market commentators have been signalling this level as the point of entry for a new bull market. Often price can be distracting when it comes to trying to figure out what is going on. 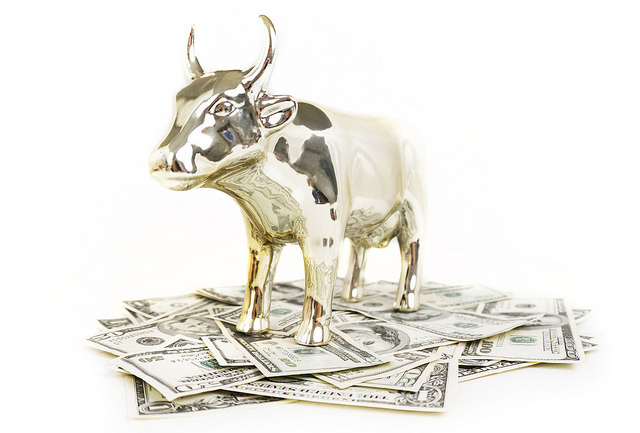 Two Schroders fund managers called the new bull market in gold about a week before the price broke through the key level. Whilst they offered up four key reasons for the strength in gold, they highlighted the issue of broad equity valuations and market complacency as the most ‘pertinent’ of the four drivers. Starting with the S&P500, Luke and Lacey believe that it is currently very expensive based on a variety of measures. The S&P500 made an all-time high of 2478 in July and is now up just under 11.5% year-to-date (source Bloomberg, 17 August 2017). The valuation of this index is expensive on a variety of measures. Whether we look at simple price/book, trailing price/earnings or enterprise value/cashflow (each of which are different ways to value a company), the index is trading on valuation multiples which are 60% to 100% higher than the historical median over the last 90 years. Whichever your preferred metric, historical regression analysis suggests expected returns for equities, from today’s starting point, are very low. Why is the S&P500 so overvalued? This is something we have covered previously. There is an almost infallible belief that future earnings growth will be supported by Trump’s drive to cut corporate tax and the the fact that companies’ cost of capital is at an all-time low. US companies may well receive a welcome reduction in the corporate tax rate, but the low cost of capital argument is flawed. Increasing interest rates are not supportive for equity valuations that are already high (versus history) as companies’ cost of capital increases. As unemployment continues to fall, inflation will start to pick up at the margin, regardless of the lag. Like it or not, we are firmly in a cycle of increasing nominal (not real) interest rates. As much as gold’s safe haven status is disputed in the mainstream, history cannot be ignored. This is something we admittedly bang-on about on a regular basis. It is something which is so simple and yet is refuted with the most complicated arguments. Luckily Luke and Lacey agree on gold’s historical performance as evidence for it’s safe haven status. If we look back at gold price performance between 1961 and July 2017 (see chart above), it is very clear that gold price annual returns were positive, particularly during periods of high inflation, while stock market returns were negative. We don’t see any argument as to why gold’s previous performance against a weak stock market will not repeat itself once markets wake-up to the real story. What is the real story? As Luke and Lacey point out, stock market performance is not reason alone to argue that a gold bull market is in play. It is overall market complacency. Market complacency is becoming a bit of a theme amongst financial commentators and analysts of late. Many seem perplexed as to why the market seems to be so enthusiastic and relaxed given the state of the world (Trump leadership, Venezuela, North Korea, global debt levels…to name a few). It is a known fact that the best time to buy insurance is at a time when the insurers don’t think it is very likely that the “risk event” will happen. For example, in the UK, household insurance premiums to cover flood risk increased by as much as 550% post the flooding in 2007 and again in 2014. One of the most common measures for market complacency (or dissatisfaction) is the VIX Index. The index is a popular measure of the implied volatility of the S&P500 index options over the next 30 days. As we explained earlier in the week: The VIX index is often referred to as the ‘Fear Index’. Many believe this is a misnomer and does not portray what is really going on. The index has been trading at historically low levels. Apparently investors continue to bet that the index will remain low if money keeps pouring into markets and the global economy carries on improving. Schroders fund managers find the current state of the VIX perplexing. At the moment the VIX is trading at a 27-year low. Investors are currently pricing in not just a stable pricing environment for the S&P500 for the next few months, but basically the most benign risk environment in the history of the index. To us, this is odd from many angles. Not least because current extreme equity valuations are set against the startling fact that global central banks are moving towards an attempt to reverse the most extreme set of policies in the history of monetary policy. More visceral external factors are also lurking in the background. As with the financial crisis, the thing that causes the most damage is that which we turn a blind eye to. This is exactly what is happening right now by those pumping money into both the economy and financial markets. However, the case for gold is not strong just because we think no one else is able to smell the (very strong) coffee. Schroders also make an argument that Chinese demand, negative global interest rates and a potentially weak dollar will be major drivers of gold. We have to agree with the authors of this insightful piece: gold is currently extremely undervalued and under appreciated given the amount of risk that is in the financial system. At this time of heightened geopolitical risk, when Venezuela is on the brink of chaos and tensions are growing between North Korea and the US, there is the possibility of an event in the coming months which causes investors to seek to reduce their risk exposure. In such circumstances, we strongly believe gold could turn out to be an underowned and well-priced insurance policy. – The Truth About Bundesbank Repatriation of Gold From U.S.
– Cyberwar Risk – Was U.S. Navy Victim Of Hacking? One witty Twitterer asked mischieviously, “Was Kim buying Gold futures ahead of his launch? Bitcoin rises to $4740 per coin which is backed by nothing but hot air. I guess one way to look at this is the fact that gold would be trading at around $4700.00 if it were not manipulated by our criminal bankers. Amid chaotic swings in the dollar, and flash-crashes in precious metals, it seems anxious global investors have pushed into cryptocurrenciesas a safe-haven overnight with the top 5 virtual currencies all soaring. Pushing its total market cap near that of Morgan Stanley. Bitcoin is now bigger than 425 of the S&P’s 500 members. 3b Japan 10 year bond yield: FALLS TO +.009%/ GOVERNMENT INTERVENTION !!!! (Japan buying 100% of bond issuance)/Japanese yen vs usa cross now at 114.34/ THIS IS TROUBLESOME AS BANK OF JAPAN IS RUNNING OUT OF BONDS TO BUY./JAPAN 10 YR YIELD FINALLY IN THE POSITIVE/BANK OF JAPAN LOSING CONTROL OF THEIR YIELD CURVE AS THEY PURCHASE ALL BONDS TO GET TO ZERO RATE!! 30 SNB (Swiss National Bank) still intervening again in the markets driving down the SF. It is not working: USA/SF this morning 0.9663 as the Swiss Franc is still rising against most currencies. Euro vs SF is 1.1443 well above the floor set by the Swiss Finance Minister. Thomas Jordan, chief of the Swiss National Bank continues to purchase euros trying to lower value of the Swiss Franc. It’s groundhog day as S&P futures, European and Asian shares all rise overnight, while the dollar is poised to finally end its streak of monthly losses. The Bloomberg Dollar Spot Index is finally headed for its first monthly gain since February, supported by renewed focus on better-than-forecast U.S. economic growth with the dollar getting an added boost after a Reuters report that Euro gains are worrying a growing number of ECB policy makers. The DXY is up 1.6% from multiyear low set on Tuesday while US Treasuries yields also rose in muted trading ahead of key core PCE inflation data due shortly Thursday and ahead of Friday’s jobs report. Not helping the ECB case for a weaker Euro (and stronger dollar) was the latest Eurozone inflation data, which came in hotter than expected at the headline level, printing at 1.5% for August, above the 1.4% expected, and 1.3% in July, while inflation ex food and energy also came in stronger than the 1.2% expected, printing 1.3% in August, 0.1% higher than July. Core HICP inflation printed at 1.2%, matching the median forecast. In addition to the ECB “trial balloon”, investors rediscovered a taste for a stronger dollar and commodities as upbeat Chinese economic data on Thursday, as well as stronger U.S. economic news, whetted appetite for riskier assets globally, even as tensions over North Korea simmered in the background. As reported overnight, the latest official PMI survey showed Chinese factory growth unexpectedly accelerated in August, confounding forecasts for a slight slowdown. The official PMI firmed to 51.7, from 51.4 in July, even as the service PMI tumbled. That gave a fresh boost to industrial metals, with copper nearing its highest since late 2014 and on track for gains of 7 percent for August. A big gainer was U.S. gasoline which surged 6% to two-year peaks as flooding and damage from Tropical Storm Harvey shut nearly a quarter of U.S. refinery capacity. Prices are now up more than 20 percent in the past week. Gasoline advanced as Harvey continued to pound the energy-rich Gulf of Mexico coast, home to more than half of the U.S.’s refining capacity. European share markets opened firmer, despite stronger inflation data and a higher euro, with the Eurostoxx 600 rising 0.8%, after hitting a 6 month low earlier in the week. The Stoxx Europe 600 Index followed gains in equity benchmarks from Tokyo to Sydney after U.S. equities advanced for a fourth day. European bourses rallied from the open led by mining and construction stocks, with base metals pushing higher through Asian session and European morning. Retail sector heavily underperforms after weak Carrefour earnings sees stock trade -15.1%. Most European bonds declined. In Asia, Japan’s Nikkei closed up 0.7 percent, its best level in two weeks, helped by a pullback in the yen. MSCI’s broadest index of Asia-Pacific shares outside Japan edged down 0.1% on the day but was a modest 0.3% firmer for the month. The Topix index rose 0.6 percent at the close in Tokyo, paring its first monthly drop since March. Australia’s S&P/ASX 500 Index added 0.8 percent. The Kospi retreated 0.4 percent. Benchmark indexes dropped 0.6 percent in Hong Kong and fell in Shanghai, led by declines in banking stocks that had recently been surging. Emerging market stocks took a breather too. But August has been their eighth straight month of gains and are now up almost 30 percent since the start of the year. In addition to the European inflation U.S. core inflation figures, which will be closely watched by traders and the Fed as it looks to push on with its recent run of rate hikes, are also due later. The currency has risen sharply this year against the dollar as pessimism over the euro bloc has dissipated and its economy has started to gain some traction. The bounce in the dollar shaved 0.5 percent off the price of gold to $1,302.50 an ounce, short of Tuesday’s 9-1/2-month high of $1,325.94. West Texas Intermediate crude increased 0.3 percent to $46.10 a barrel. Gasoline for September advanced for an eighth day, up more than 4.4 percent to $1.9673 a gallon. Earlier the front-month contract touched the highest since July 2015. Economic data include jobless claims, July pending home sales, personal income and spending as well as August Chicago PMI. Discount retail store operator Dollar General and Palo Alto Networks are among companies reporting results. lower with demand sapped amid outperformance of Japanese stocks and mixed 2yr auction. Bank of Korea 7-Day Repo Rate (Aug) 1.25% vs. Exp. 1.25% (Prev. 1.25%). Carrefour (-12.5%) trade markedly lower following a disappointing outlook. Fixed income markets have once again been hampered by the upside in equities despite an absence of supply from the Eurozone for the rest of the week. More specifically, Bunds have faced selling pressure throughout the session before finding support at the 165.00 handle with further support said to lie below at 164.81. There was no substantial change in bunds after the release of the EU data. US Treasuries tracked risk sentiment, with the belly of the curve underperforming following a couple of strong sections on the back of stellar supply in the area. The long end ended relatively flat. However, concerns over rising North Korean tensions, and risks surrounding the US debt ceiling remain at the forefront of investors’ thought processes. US Sep’17 10y T-note futures settled at 127.02+, down 3+ ticks. In currencies, GBP is modestly lower by around 0.2% as Brexit headwinds keep GBP pressured yet again. This morning saw comments from BoE Hawk, Saunders who continued to outline the case for a rate hike, whilst also downplaying the importance of such action. Today we saw the release of Eurozone inflation which was a beat of 1.5 on the expected 1.4 with previous 1.3%. However, EUR finding some mild support this morning amid cross related buying in EUR/GBP which has broken back above 92.00. NZD downward spiral continues, which has largely been the case since the back-end of July amid recent soft domestic economic data, while uncertainty looms over the general election. prices attributed to a sudden large sell order. Russia produced 10.9mln bpd in Aug, subsequently exceeding their quota, according to IFAX citing sources. Looking at the day ahead, the July PCE and personal income and spending data will be the focus, while initial jobless claims, continuing claims, pending home sales and Chicago PMI are also due. Away from the data, China President Xi Jinping will host the 9th BRICS summit. Just a quick one from me this morning before passing over to Craig and Jeff. At around 1.55pm on Tuesday James Montgomery John Reid and Edward (Eddie) Fitzwilliam John Reid entered this world weighing c.5lb 13oz (2.635kg) and c.4lb 15oz (2.222kg) respectively. Poor Eddie had his umbilical cord wrapped around him possibly restricting his recent growth so it was good to get them out when we did. They both had blood sugar issues for over 24 hours but with intense feeding and glucose gels have now seemingly stabilised. Fingers crossed all seems well now but they are so small. Trudi is absolutely exhausted after being up for nearly 40 hours at one point and I’m a little tired but difficult to moan when I sneaked 4 hours in here and there. For most of the pregnancy we were going to call them Montgomery and Bartholomew. We finally ruled out the latter because of fears of him being forever associated with Bart Simpson. He’s one of my favourite TV characters but we were not sure it was wise to risk Bartholomew being shortened and little Bart having to play up to his name. As for Monty. We love that name. However with 2 days to go we tried it out at home to see how it sounded and every time we did Bronte ran in from the other room and demanded a treat. That seemed an untenable situation longer term. So Montgomery is a middle name. So James and Eddie were late bloomers but suit them perfectly. In case you’re interested in between my many duties I created a rough video still collage of the boys’ first 24 hours. The link to it is on my Bloomberg message header or I’m sure Craig can send it to you. See you in a couple of weeks. Over to Craig and Jeff. It’s a bit difficult to compete with that news, but a decent run of macro data in the last 24 hours has proved to be a welcome distraction for markets from the recent geopolitical headlines. We’ll jump into the details further down but in summary higher than expected inflation prints in both Spain and Germany during the morning yesterday were then followed up by a stronger than expected ADP employment report in the US and a larger than expected upward revision to Q2 GDP. Overnight China has also reported a beat in its August manufacturing PMI which has added to the good news. Looking ahead to today, macro data should remain front and centre as we’ll get the personal income and spending prints in the US this afternoon along with the Fed’s favored inflation measure in the July PCE data. So this will certainly be worth keeping an eye on given that we’d argue that inflation data and the outcome of the debt ceiling debate have taken over as the two most important considerations for the Fed outlook now. Our US economists expect the core PCE deflator to show a +0.2% mom rise while the market is slightly below that at +0.1% mom. Should our economists’ forecast be correct then the YoY rate should hold at +1.5% and unchanged versus June. Over in markets, by the closing bell last night the S&P 500 finished +0.46% which believe it or not is actually the fourth consecutive daily gain for the index and the longest streak since May. President Trump didn’t completely stay out of the headlines after tweeting that “talking is not the answer” in response to the latest North Korea missile test but that appeared to be largely ignored, in part asDefence Secretary Mattis later said “we’re never out of diplomatic solutions”. Separately, a headline from rating agency Standard & Poor’s suggesting that a failure to raise the debt limit would likely be more catastrophic than the failure of Lehman appeared punchy at first glance but was also taken with a pinch of salt. Elsewhere, the Nasdaq also finished +1.05% and the Dow +0.12%. In Europe the Stoxx 600 (+0.70%) snapped a run of three consecutive days closing in the red. That coincided with the Euro weakening -0.74% which means it is around -1.50% down from the peak level of 1.2070 made on Tuesday. Staying with Europe, we thought it would be worth highlighting a couple of reports from DB research yesterday. The first is Mark Wall’s ECB preview in which he runs through his expectations for the ECB meeting on September 7th. In summary Mark is not expecting a policy announcement. A QE exit step is expected in the next few months, but concerns about market overshooting suggests the exit signal could be weak in September. Mark believes the ECB will leave the current rhetoric framework – “confidence, patience, persistence and prudence” – largely intact in September while adding a mild verbal warning that the EUR exchange rate is “important” to growth and inflation. Rather than signal exit in advance, Mark thinks that the ECB strategy will be to wrap the exit decision in dovishness when it is announced in October. On a related topic, George Saravelos published a report yesterday morning addressing what might be next for the Euro now that his 1.20 EUR/USD target had been met so soon. He notes the risk of verbal intervention from Draghi at the ECB meeting. However George also notes that despite this the Euro level does not appear particularly extreme and most importantly the ECB has not been driving recent appreciation anyway. ECB verbal rhetoric may cause a correction but is unlikely to be enough to derail Euro strength. George and his team see the risks as still skewed towards the Euro overshooting above 1.20 at some point this year rather than permanently reversing lower. Jumping to the latest in Asia now where the highlight has been China’s August manufacturing PMI which was slightly stronger than expected at 51.7 (vs 51.3 expected) and up from 51.4 in July. In the details new orders and business activity rose during the month. The non-manufacturing PMI did however weaken 1.1pts to 53.4. In Japan industrial production has slowed to a still solid +4.7% yoy (vs. +5.2% expected). Markets have been a bit more mixed in Asia. Led by a retreat for banks, the Shanghai Comp (-0.65%) and Hang Seng (-0.57%) are both in the red, along with the Kospi (-0.20%). By contrast the Nikkei (+0.75%) and ASX (+0.69%) have firmed. Elsewhere, WTI Oil is flat following a third consecutive decline yesterday as Tropical Storm Harvey has now impacted c.20% of US’s refining capacity, but US gasoline prices continue to surge, up +6.12% this morning and so bringing the cumulative gain to around 20% over the past four days and prices to a fresh two-year high. Away from the markets, yesterday Trump spoke in Missouri on his tax plan, warning Congress not to miss a “once in a generation opportunity” to boost the economy with a massive overhaul of the US tax code. However, the speech was more focused on “why” the US tax system needed to change, rather than providing details on “how” it can be change. He did say “Ideally….we would like to bring our business tax rate down to 15%” and that “I am fully committed to working with Congress to get this job done, and I don’t want to be disappointed by Congress”. Elsewhere on the Brexit talks, EU negotiator Barnier said he can’t agree to UK demands to be flexible until he knows what the UK wants, he said “to be flexible you need two points, our point and their point”, and that “we need to know their position and then I can be flexible”. Back to that macro data yesterday. In the US, ahead of payrolls on Friday, the ADP employment change for August was higher than expected at 237k (vs 188k), the most since March. In light of this, our US team has raised the estimate for Friday’s official payrolls report by 15k to 200k. Elsewhere, US 2Q GDP was revised higher from 2.6% qoq to 3.0% qoq and stronger than expected (vs 2.7% expected) lifting through-year growth to 2.2% saar. While the stats are backward looking, it is encouraging that the revision has pushed quarterly growth to its highest level since 1Q15 after being driven by firmer estimates of final demand. Within the details, personal consumption was revised up to 3.3% qoq (vs 3.0% expected) and business investment was revised up 1.7pps to 6.9% saar. There were no revisions to the core PCE (+0.9% qoq). Over in Germany, inflation data for August was slightly higher than expected at +0.2% mom (vs +0.1% expected), lifting the annual growth rate to +1.8% yoy (vs +1.7% expected). Spain’s HICP also rose +0.2% mom in August, lifting through-year inflation to +2.0% yoy. Elsewhere, the Eurozone’s August economic confidence index was better than expected at 111.9 (vs 111.3), which is the highest reading since July 2007. Confidence firmed across the industrial and service sectors in August, while the final reading for consumer confidence was in line at -1.5. Back to the UK, the BOE July mortgage approvals was slightly higher than expecte d at 68.7k (vs 65.5k), to be the strongest reading since March last year. Elsewhere, the credit lending was modestly softer than expected, with net consumer credit at 1.2bln (vs 1.5bln) and net lending on dwellings at 3.6bln (vs 3.8bln). Looking at the day ahead, Germany’s July retail sales will be out in early morning (+2.9% yoy expected). Then we have the July unemployment rate for the Eurozone (9.1% expected) and Italy, along with the August unemployment change stats for Germany. Thereafter inflation data for the Eurozone (+1.2% yoy at the core), Italy and France are also due. Over in the US, as mentioned earlier the July PCE and personal income and spending data will be the focus, while initial jobless claims, continuing claims, pending home sales and Chicago PMI are also due. Away from the data, China President Xi Jinping will host the 9th BRICS summit. Amid the global growth party of hope-strewn PMIs across the world (all of which have been shown time and time again to hold zero correlation to actual economic data), China’s non-manufacturing data just puked in the punchbowl, crashing to its weakest level since May 2016(despite amodest uptick in manufacturing). Is China’s lagged credit impulse finally starting to leak into reality? Manufacturing PMI rose from 51.4 to 51.7 in August but employment fell, new export orders fell, and both input and output prices soared. Notably large enterprises actually downticked with medium-size entities the most hopeful. On the services side, non-manufacturing PMI tumbled to 53.4 (still expansionary, we hear bulls cry) – the weakest since May 2016 as new orders, business expectations, and inventories weakened. It’s time to start worrying about currency wars again. Rapid gains by the euro against the dollar are worrying a growing number of policymakers at the ECB, raising the chance its asset purchases will be phased out only slowly, three sources familiar with discussions told Reuters. The scheme is due to expire at the end of 2017 but formal talks over its future are only beginning, meaning the European Central Bank is highly unlikely to take any decision at next Thursday’s rate meeting, the sources said. Pressure is building for a gentle rather than a rapid reduction in the pace of asset buying from some policymakers, particularly in the bloc’s weaker economies, who are concerned that the strong euro could dampen inflation and hamper growth by making exports dearer, the sources said. As the ECB prepares for what is its biggest policy decision in years, the worries over the euro show just how far it remains from achieving its goal of integrating the currency zone’s stubbornly divergent economies. Germany and Northern Europe are ready to dial back monetary stimulus as their growth rates pick up, just as southern nations take on the added burden of uncompetitive exports on top of high unemployment. The debate also exposes the dilemma the ECB faces in trying to reconcile robust GDP growth with inflation — which edged up across the euro zone to 1.5 percent in August — expected to undershoot its target for years. “The huge appreciation in the euro is already causing monetary tightening and is equivalent to an increase in interest rates,” another source said. The ECB, which declined to comment to Reuters, has often said that exchange rates are set by the market and it does not target any particular level, although as 8 years of this nonsense have demonstrated that is pure nonsense. “You can’t have it both ways – a strong economy and at the same time a weak currency… You should also not call it euro ’strength’ but rather ’non-weakness’,” a third Reuters source said. … while Bund futures spike, now that the reduction in ECB stimulus measures has once again been delayed indefinitely. And while verbal jawboning of the Euro is nothing new, this time the ECB has a hard limit: it is running out of Bunds to monetize: as such any meaningful extension of the €2.3 trillion scheme will run up against asset purchase limits that the ECB has itself imposed. Without a change to the programme’s key parameters, the ECB could buy between 30 to 40 billion euros of bonds in the first half of 2018 but would be severely constrained thereafter, the sources said. It could further relax a requirement to buy bonds in proportion to each country’s ECB shareholding, or include new asset classes such as stocks, as raised in July by one policymaker but not given consideration, or non-performing bank loans. For legal reasons the ECB is unlikely to remove a cap that limits it to buying only a third of each country’s debt, as Draghi himself suggested in July. Slowly but surely, the currency wars that marked the early part of the global central bank reflation experiment, appear to be coming back, and in the meantime, being short the dollar – one of the most profitable trades of 2017 – is looking like an increasingly dangerous proposition. Exactly one month after Vladimir Putin ordered the expulsion of 755 US diplomats from Russia, as well as the seizure of two diplomatic compounds used by the US in Russia on July 31, moments ago the US State Department announced that “in the spirit of parity invoked by the Russians”, the US has ordered the Russian government to close its San Francisco consulate, a chancery annex in Washington and a consular annex in New York City. Russia was given two days, or until September 2, to complete the closures. In the spirit of parity invoked by the Russians, we are requiring the Russian Government to close its Consul. General in San Francisco, a chancery annex in Washington, D.C., and a consular annex in New York City. These closures will need to be accomplished by September 2. Whether in the “full spirit of parity” Russia will next dump a few thousand soliders in nations neighboring the US, we don’t know, but we are confident that an escalating Russian response to this latest US move is inevitable and imminent. Bloomberg reports that Canada’s consumers, benefiting from a buoyant jobs market and rising home values, are on a tear. Household consumption rose at an annualized 4.6 percent pace in the second quarter, following a 4.8 percent gain in the second quarter. That’s the best two-quarter gain since before the 2008 recession. Canada’s economic growth over the past two quarters was the best first half for the economy since 2002. Mexico’s Economy Minister Ildefonso Guajardo sent the Mexican peso reeling Thursday afternoon after he hinted Mexico may balk on trade talks with the US, telling lawmakers from Mexico’s ruling PRI that Mexico’s trade representatives would not negotiate with the US “under threat,” highlighting the intensifying tensions between the US, Mexico and Canada a day before the second round of Nafta negotiations is set to begin. A day after he hinted that Mexico was working on a “Plan B” should the talks fail and Nafta be allowed to dissolve, Guajardo unveiled that Mexico is in advanced negotiations with Europe, and that talks with Latin American neighbors Brazil and Argentina are moving forward. He also said that the Pacific Alliance, a Latin American trade bloc, is in discussions to admit New Zealand and Singapore. The strongly worded speech came after Trump repeatedly threatened to “terminate” the US’s Nafta membership – something that’s allowed under the treaty, given 180 days’ notice, with the most recent threat coming during yesterday’s speech in Missouri. Details from the meeting were released on one PRI’s twitter accounts. Guajardo’s comments echoed similar remarks made by Meixco’s Foreign Minister Luis Videgaray, who threatened to “walk away” from the negotiating table if Trump decides to withdraw the US from the trade bloc. According to Reuters, the first five-day round of talks between the three countries concluded in Washington on Aug. 20, with all sides committing to follow an accelerated process in revamping the agreement. Unsurprisingly, the talks appear to have already hit a snag. As we reported shortly after the conclusion of the first round, Mexico, the US and Canada already disagree over the US’s demand that the revamped agreement require that a “substantial” portion of autos and auto parts produced under the pact be manufactured in the US. A clause in the NAFTA agreement allows any of the three countries to withdraw from the deal after giving 180 days notice, and Trump has proven more than willing to use this as a cudgel. Seeing as unilaterally withdrawing from the agreement risks igniting a global trade war – something the Trump administration, for all its bluster on trade, has appeared hesitant to do – Trump’s threats are probably just that. However, with the administration increasingly desperate for a ‘W’, walking away isn’t out of the question. For his part, Canadian Prime Minister Justin Trudeau has said only that his government will work “seriously” to improve Nafta. One former Mexican diplomat offered some perspective for US investors that we thought was interesting. Jorge Guajardo, a former Mexican ambassador to China, said that people in the US don’t understand how politically unpopular the appearance of collaboration with the Trump government might be for Mexico’s ruling party – this could suggest that the talks might be futile, because Mexico’s politicians, nor Trump, can afford to lose face with the public. Whatever the outcome, it appears currency traders aren’t willing to give the Trump administration the benefit of the doubt, just like the T-bills market appears to be taking the threat of a debt-ceiling breach seriously. Yet, oddly, none of this has meaningfully translated to stocks. People in US aren’t considering, as NAFTA negotiations progress, how little political appetite there is in Mexico to partner w/ Trump’s USA. By Tweeting and bullying México, Trump is all but hanging the death knell on NAFTA and all future cooperation in all areas btwn countries. Mexico and US cooperate in National security (detaining terrorists before they enter US), fighting drug trafficking, migration, etc. All that cooperation, plus trade, will come to an end much sooner than people realize. The USA has not had a hostile neighbor for a while. Gasoline price surge this morning after the major pipeline conduit for gas from the Gulf to the East Coast has been shut down due to the Hurricane. Motor fuel prices climbed as much as 6.6 percent in New York, advancing for an eighth session, while crude oil was little changed. Harvey has shuttered about 23 percent of U.S. refining capacity, potentially cutting fuel-making ability to the lowest level since 2008 and depriving the Colonial Pipeline of supplies. Colonial, which is the biggest single fuel transporter in the US, shipping more than 2.5m barrels a day on its line – or roughly one in every eight barrels of fuel consumed in the country – said in a statement late on Wednesday that its line carrying diesel and jet fuel would shut on Wednesday evening, followed by its gasoline pipe on Thursday. As gasoline surged to a two-year high, U.S. oil prices lost about 4 percent since Harvey made landfall as demand from refiners fell. As Bloomberg notes, this sent cracks — the premium of the refined fuel over crude — higher in New York, while the storm also triggered a flurry of trans-Atlantic gasoline trading and disrupted exports of liquefied petroleum gas, causing prices to rise in Asia. A 50% chance that the northern Antilles experiences a Hurricane landfall next week; topography may cause models some issues with intensity. Irma is expected to grow into a “major hurricane” within the next 24 hours with maximum sustained winds of 120 mph before growing even stronger throughout the weekend and eventually becoming a Category 4 storm. The storm is moving west at roughly 10 mph and isn’t expected to pose its first threat to land until next week. Irma has moved somewhat south of and slower than all of the model guidance since yesterday. Consequently, it stayed longer over the warmer ocean temperatures away from the drier air to the north, possibly allowing the rapid strengthening. Irma should move over cooler waters tomorrow with some increase in mid-level dry air, so hopefully the hurricane’s intensity will level off by then. In a few days, the hurricane will be moving over warmer waters with light shear shown by all of the model guidance. This should promote further strengthening of Irma, and the NHC forecast shows an extremely dangerous category 4 hurricane next week, similar to the solutions provided by the HWRF and the ECMWF models. The intensity forecast is raised considerably from the previous one due to initial trends, and is on the high end of the guidance at long range. Early THURSDAY morning USA 10 year bond yield: 2.145% !!! UP 1 IN POINTS from WEDNESDAY night in basis points and it is trading JUST BELOW resistance at 2.27-2.32%. The 30 yr bond yield 2.7500, UP 1 IN BASIS POINTS from TUESDAY night. USA dollar index early THURSDAY morning: 93.18 UP 30 CENT(S) from WEDNESDAY’s close. the Italian 10 yr bond yield is trading 49 points HIGHER than Spain. Right after Draghi floated a trial balloon suggesting he wants a lower Euro, Mnuchin was interviewed and he stated that he states that a lower dollar is preferable for trade. Down goes the dollar.. While not nearly as FX moving, Mnuchin also said that the Administration’s aim is to get a 15% tax rate, explicitly said he was working with Gary Cohn and other lawmakers on the tax plan. Mnuchin also said that he meets with Yellen on a weekly basis and has a “constructive dialog” with the Fed chair, although he refused to comment on her future, and said Trump would decide the next Fed chair. Real personal spending shows a less than expected .3% month over month gain (.4%month over month expected) Incomes saw a modest .4% month over month gain. As Bloomberg notes, one bright spot was that wages and salaries rose 0.5 percent in July for a second month, the best back-to-back performance since the first two months of 2017. However, both private and government wage growth is the weakest since Dec 2016. While real disposable incomes gained, the saving rate dipped to the lowest this year. Faster pay growth would allow Americans to ramp up their spending while also socking away more cash for the future. The data on prices showed inflation remains stubbornly below the Federal Reserve’s 2 percent goal. The central bank’s preferred inflation gauge has matched or topped policy makers’ target in just two months since 2012. While less convenient for the Fed, low price pressures help to boost consumer purchases. Bloomberg notes that the decline in contract signings, the fourth in the last five months, highlights that a limited number of properties for sale remains the biggest hurdle for the housing market. That’s particularly true for those wanting to buy for the first time as rising home prices are outpacing gains in wages. The Realtors group reduced its projection of sales this year to 5.49 million from last month’s estimate of 5.56 million. Supply is failing to keep up with demand, and the outlook for sales is also less favorable because purchases in the Houston area will likely slow in the aftermath of Hurricane Harvey, the NAR projects. “The housing market remains stuck in a holding pattern with little signs of breaking through,” Lawrence Yun, NAR’s chief economist, said in a statement. “Buyer traffic continues to be higher than a year ago, the typical listing has gone under contract within a month since April, and inventory at the end of July was 9 percent lower than last July,” Yun said. US planned layoffs total 33,825 in Aug, up 19.4% from prior monthTerri CullenU.S.-based employers announced plans to cut payrolls by 33,825 in August, up 19.4 percent from number of job cuts announced in July, according to outplacement firm Challenger, Gray & Christmas.The August job-cut total is 5 percent higher than the same month last year, when 32,188 cuts were announced. This month’s total marks the first increase in job cuts in the past five months of payroll cuts in March.Year-to-date, employers announced 289,132 planned job cuts, down 26.1 percent from the 391,288 cuts announced through the first eight months of 2016. “Although job cuts have risen this month, they continue to be significantly lower compared to the same time last year,” said John Challenger, CEO of Challenger. “Although we have seen high layoffs in retail with store closings and some companies filing for bankruptcy, there has also been increased hiring in new areas of the sector as retailers build out their e-commerce platforms. Shipping and technology jobs are expanding and going unfilled. We are seeing a labor market in which skilled technical and logistics/supply chain talent is in high demand,” said Challenger. It sure looks like Donald intentionally snubbed Gary Cohn the future Fed chairman? Did Trump Just Intentionally Snub Gary Cohn? In our preview this morning, we noted that it seemed odd that Trump’s tax speech had reportedly been drafted by White House aide Stephen Miller, the leader of the nationalist arm of the White House staff, as opposed to his Chief Economic Advisor Gary Cohn. While notable because it indicated that Trump might return to his populist roots in his first tax reform cheerleading session, most didn’t ascribe any more value to the information than that. That is until Trump took the stage earlier this afternoon and thanked a litany of advisors for their help in crafting his tax policies but noticeably left out Gary Cohn. As The Hill notes, Trump gave credit to everyone from Mnuchin to Linda McMahon and host of local Missouri politicians but seemingly snubbed Cohn. As Trump took the stage in Springfield, Mo., to kick off his tax reform push, he welcomed his administration’s major players in the debate who joined him at the event but failed to mention Cohn, who was also there. Trump specifically named Secretary of the Treasury Steve Mnuchin, Secretary of Commerce Wilbur Ross and Small Business Administrator Linda McMahon, who flew with the president to the event. Of course, this could mean absolutely nothing, or it could mean that there was more to the rumors that surfaced over the weekend and last week about rising tensions between Cohn and Trump. Over the weekend, Axios noted rising tensions over tariffs and a continued power struggle between Trump and the “globalists” in the White House who continued to resist the President’s controversial economic agenda in the absence of Steve Bannon. “John, let me tell you why they didn’t bring me any tariffs,” he said. “I believe this administration can and must do better in consistently and unequivocally condemning these groups and do everything we can to heal the deep divisions that exist in our communities,” Cohn told the FT in his first public comments since the controversy. Cohn added, “As a Jewish American, I will not allow neo-Nazis ranting ‘Jews will not replace us’ to cause this Jew to leave his job” and said that Trump’s administration said that the White House “can and must do better” in consistently condemning hate groups. Cohn’s remarks were in stark contrast to a statement from the Treasury secretary, Steven Mnuchin, who defended the president. Mnuchin is also Jewish, and is also a former Goldman employee. Then again, maybe it’s just all a big misunderstanding…. POTUS just listed + thanked a long list of WH officials + pols in the room, but did not name Gary Cohn, who recently criticized Trump. What say you? Media attempt to “criminalize behavior that is normal”…or is Yellen safe in her Fed seat for just a little longer? When the CEO of Arkema America, Richard Rowe, warned late Wednesday that the company is powerless to prevent an imminent explosion at its Crosby, TX chemical plant, all we could do was wait for the inevitable. We didn’t have long to wait, because just a few hours later, on Thursday morning, Arkema said it has been notified about two explosions at the doomed Crosby plant. 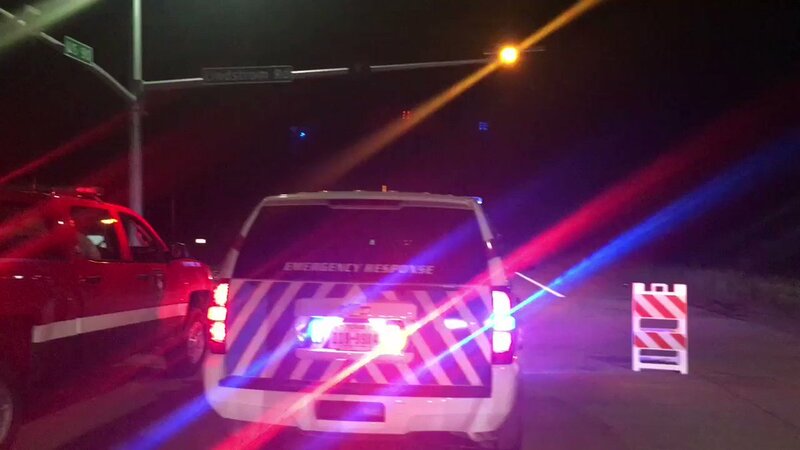 An Arkema spokesperson stated late Wednesday that a fire at the site was inevitable. “The fire will happen. It will resemble a gasoline fire. It will be explosive and intense in nature… as the temperature rises, the natural state of these materials will decompose. A white smoke will result, and that will catch fire. So the fire is imminent. The question is when,” spokesperson Janet Smith said. Dr. Joel N. Myers, founder, president and chairman of AccuWeather, now believes Harvey could become the costliest natural disaster in US history, ultimately costing the US economy an eye-popping $190 billion in property damage and lost productivity once the “total destruction is completed.” Such an astronomical price tag would be more than the combined costs of Hurricanes Katrina and Sandy, he said. While property damage is expected to account for a sizable chunk of this cost, some sell side analysts believe the storm could ultimately have a postive impact on GDP if it triggers a construction boom, which would be positive for GDP. 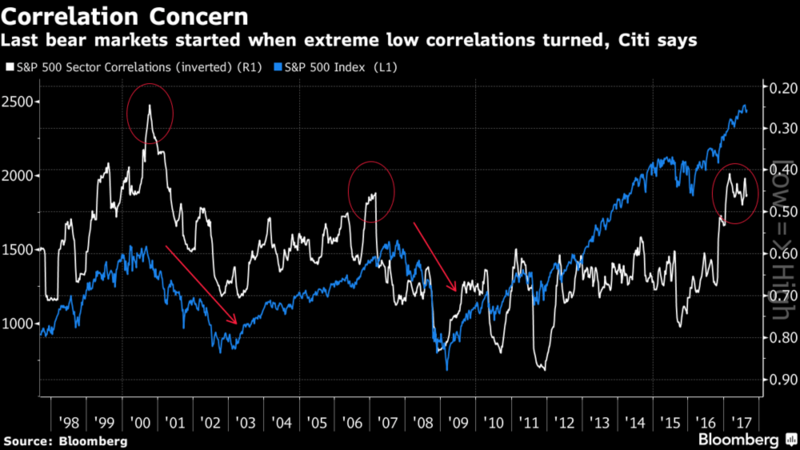 Sell-side research analysts have offered conflicting views. So far, Citigroup and Goldman Sachs expect storm-related productivity losses will lead to a net negative impact on Q3 GDP, while. J.P. Morgan, meanwhile, predicts that the post-storm rebuilding will boost GDP in Q3 and Q4. Of course, the size of said boom will probably depend on how much money Congress earmarks for federal assistance. Trump, who has promised to swiftly pass an aid bill, is shaping up for a battle with Congressover the legislation as some conservative lawmakers will likely ask that any additional spending be offset by cuts elsewhere. But with an estimated 30,000 Texans staying in shelters because of the storm, Goldman’s Jan Hatzius, Goldman’s chief economist, that due to the human tragedy from Hurricane Harvey, the odds of a govenment shutdown happening during the coming weeks have been again reduced back to Goldman’s original estimate of 33%. The uSA releases 500,000 barrels from its Strategic Reserve after news that the USA’s largest refinery may be shut down for two weeks. The problem is the gasoline distribution not the lack of oil. How will this help? The scandal came to light almost a year ago after regulators slapped Wells Fargo with fines of $185 million over its sales practices, prompting congressional hearings and resulting in the bank naming new leaders, clawing back executives’ pay and beginning an overhaul of its retail division. “New data should cause some lawmakers to re-engage on the issue,” Isaac Boltansky, an analyst with Compass Point Research & Trading, told Bloomberg before the new tally was announced. Democrats will again argue it proves Washington needs to keep rules tight on financial firms, while Republicans will continue to fault Consumer Financial Protection Bureau officials for not spotting the misconduct themselves, Boltansky said. As Bloomberg writes, Wells Fargo had agreed to expand its review after Washington lawmakers lambasted the company following former Chief Executive Officer John Stumpf’s testimony last September about the bank’s sales practices. Under pressure, the bank agreed to review records dating back to 2009, rather than through 2011 as it initially did. Democrats led by Representative Maxine Waters of California earlier this month called for a House Financial Services Committee hearing about a separate scandal at Wells Fargo involving unwanted car insurance imposed on auto-loan customers. And Senator Elizabeth Warren of Massachusettswrote to the Federal Reserve to again press for the removal of board members who served during the original accounts review period of 2011 to 2015. Wells Fargo has worked to minimize the impact of the new tally, describing the additional accounts as those it couldn’t rule out from lacking customer authorization. The company said in the statement that it “erred on the side of its customers during the review”, so the figures might include some accounts that were properly authorized. When it fined Wells Fargo last year, the CFPB ordered the bank to identify all customers affected by its sales misconduct and set aside $5 million for those harmed. On the other hand, the new review doesn’t go back as far as 2002, the year that executives first knew about the sales misconduct and fired employees over it, according to investigators hired by the company’s board. Lawyers representing customers who said they were harmed by the bank’s abusive sales practices claimed in a lawsuit that Wells Fargo employees probably created 3.5 million bogus accounts starting in May 2002. Wells Fargo is awaiting final approval to settle that case for $142 million. TOMORROW IS NON FARM PAYROLLS SO EXPECT HUGH VOLATILITY TOMORROW IN OUR PRECIOUS METALS.